Turmeric is a quintessential spice in Indian food. It is known as haldi in India. Commonly, used in Indian cooking to add flavor and color. Food industries use turmeric to color mustard, dairy products, beverages, cereal, confectionery, ice cream, bakery and savory products. Fabrics are even dyed with turmeric. It is known as a poor man’s saffron and often, used as a substitute. 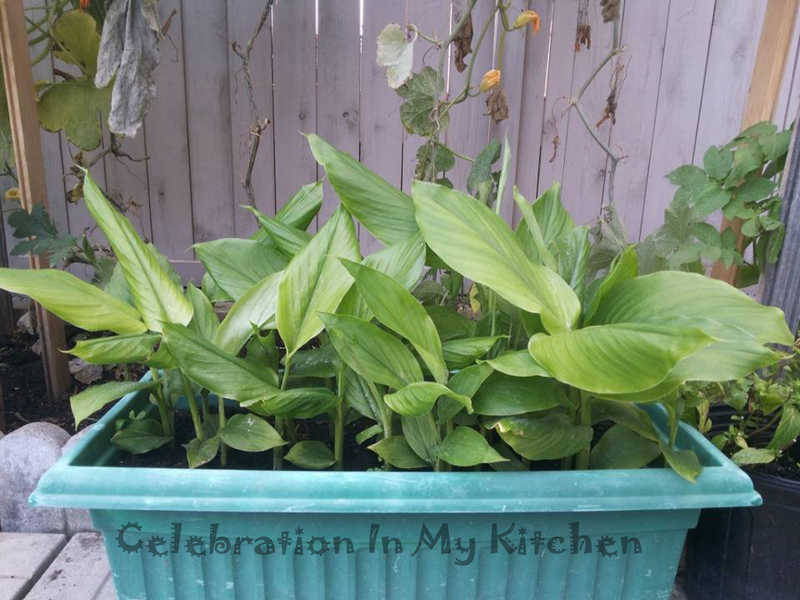 The turmeric leaves are aromatic and gives a distinctive flavor to the food. They are frequently used to wrap food and batter. 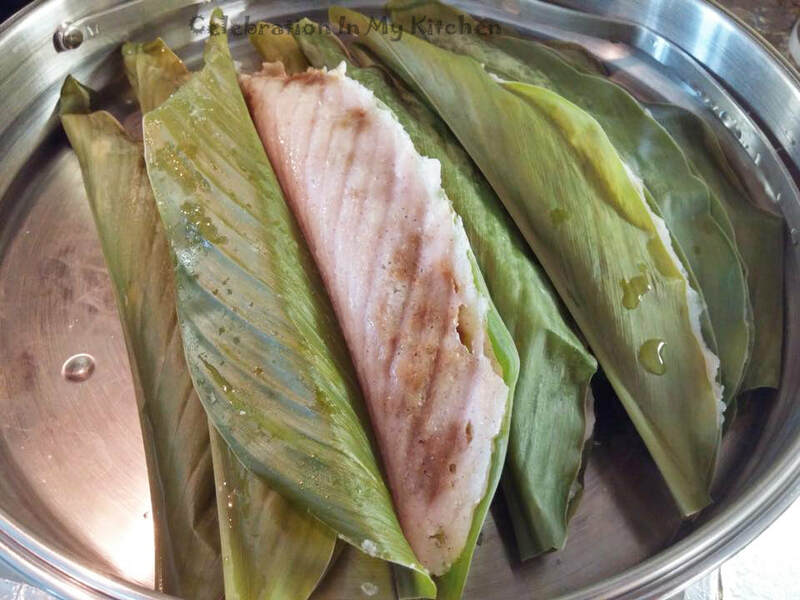 The leaves when steamed emit a pleasant fragrance which permeates the food. Patoleos made with turmeric leaves are a sweet delicacy enjoyed by the Goans on August 15, Feast of The Assumption Of Our Lady. Ground rice batter is spread on the leaf with a mixture of coconut, jaggery and cardamom powder. The coconut mixture is placed on top of the rice batter along the centre. The leaf is then folded and steamed. The aroma and flavor of the turmeric leaf is what makes these patoleos truly delectable. Curcumin, the main active ingredient in turmeric has powerful anti-inflammatory effects and is a very strong antioxidant. Turmeric is great for treating both osteoarthritis and rheumatoid arthritis. It’s antioxidant property destroys free radicals in the body that damage body cells. Reduces cholesterol levels, improves digestion, prevents liver disease and even treats cancer. Supports overall brain health by aiding in the removal of plaque build-up in the brain, improving the flow of oxygen and preventing Alzheimer's disease. Controls blood sugar but when combined with strong medications can cause hypoglycemia (low blood sugar). Diabetics when consuming turmeric should monitor their blood sugar levels closely. Widely used to keep the skin soft, smooth and adding glow to the skin. In Goa, they have the traditional “Roce” ceremony, a day before the wedding. 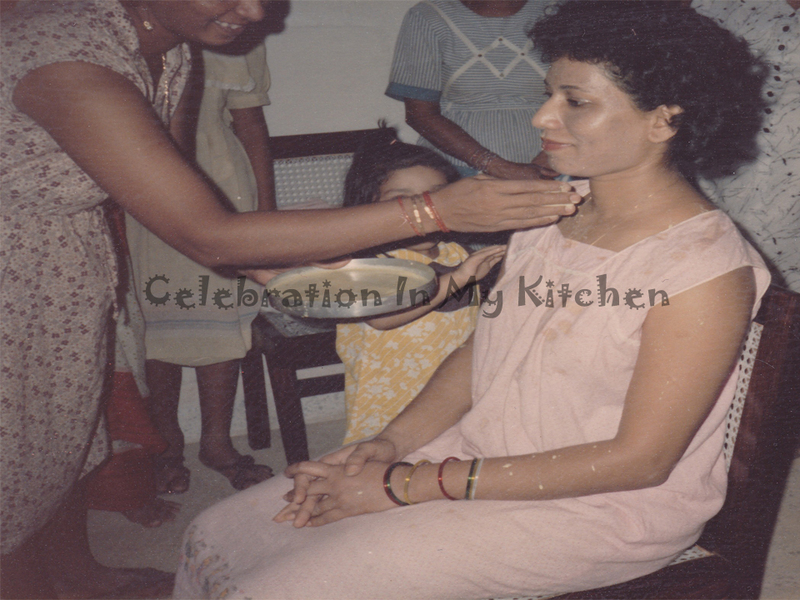 The juice of coconut milk and turmeric is applied to the bride and groom at their respective residence. It is said to beautify them, adding glow to their skin on the wedding day. Here’s a picture of my “Roce” ceremony. 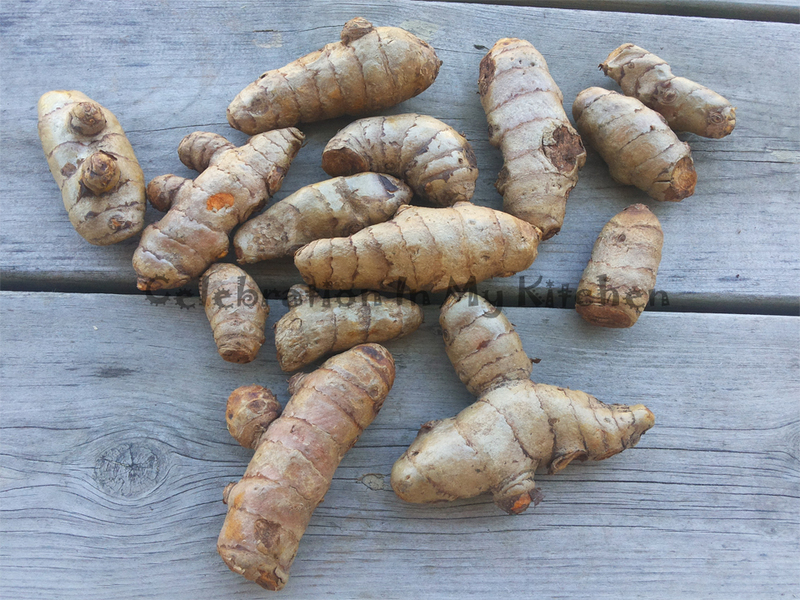 Buy fresh plump turmeric rhizomes from the grocery store. 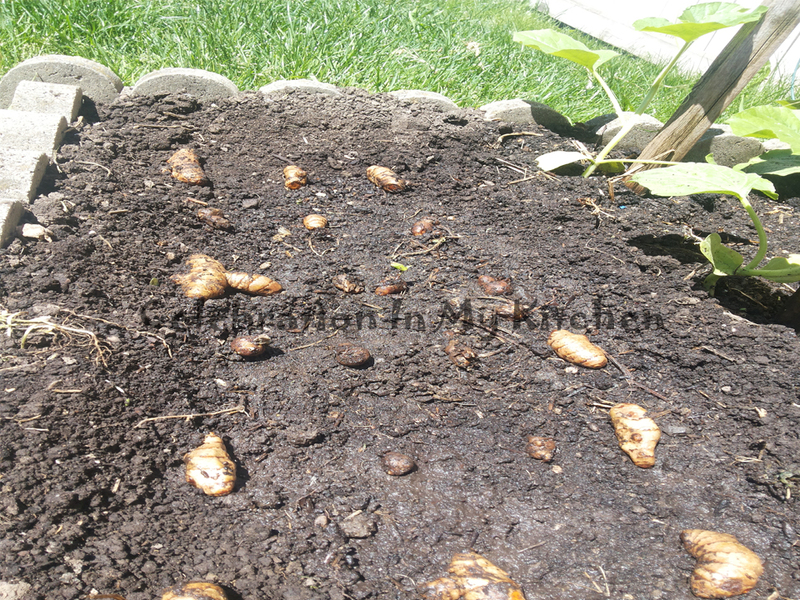 Bury them in moist soil (1" below the surface) directly in a well-drained container or into the ground. Water regularly and fertilize once in 15 days. Leave container outdoors in the sun. 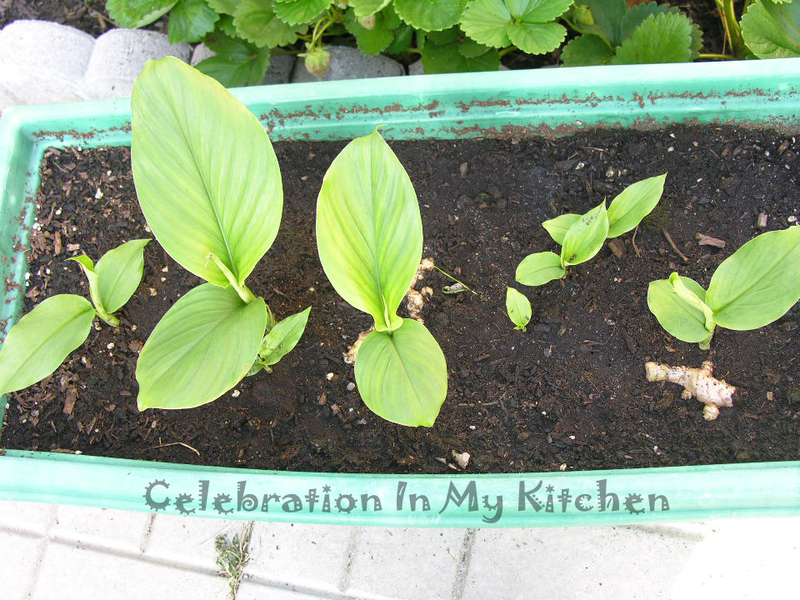 Turmeric shoots will appear after 4 to 6 weeks in hot weather. Leaves will grow to a reasonable size in 10 to 12 weeks. Enjoy patoleos on August 15, Feast of The Assumption of Our Lady. Recipe for sweet patoleos can be found here. 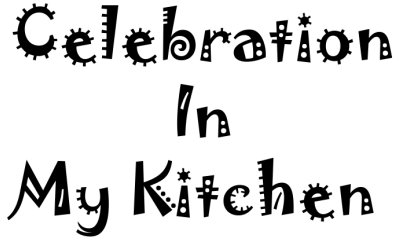 For savoury one click here.